Communities such as Boerum Hill are just one of several Brooklyn neighborhoods that have experienced an influx of security camera installations. Not all systems are identical, however, and in fact, choose the wrong cameras for your household or business and you may leave yourself more vulnerable than if you had no system at all. You may find the details below to be practical before you start shopping around. For even more tips, remember to contact us at (718) 484-4050. M&D Locks and Keys has been installing video security cameras and alarm systems in the Boerum Hill neighborhood for years. One of our security professionals will be pleased to answer all of your questions. 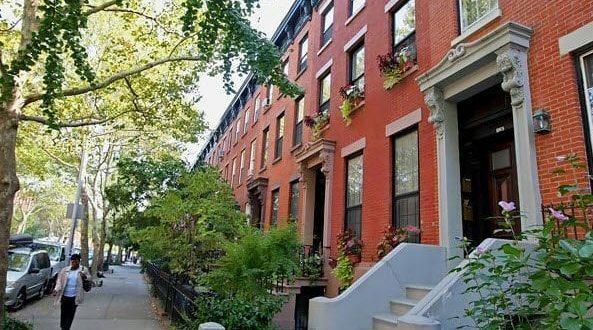 Boerum Hill residents use security cameras for a number of reasons, but the most popular are deterring criminals and break-ins, safeguarding family members and property from theft and burglary and to observe caregivers and domestic workers. What are the best security cameras for Boerum Hill households? We have done broad research and testing on security equipment from digital cameras, remote access equipment to surveillance computers and recording devices. Our preferred brands for dependability, stability and usability are Bosch, Sony and Samsung. Due to their advantages, these are the three primary models we set up for our customers. We maintain and service other makes and models, but check with us first. Network or IP cameras are the best selling home security systems among our Boerum Hill clients because they permit monitoring from any device. You can monitor your property from anywhere if you have a computer or other device with internet access. Network systems also include monitoring from closed circuit television (CCTV). These units have gone through major improvements over the years and incorporate digital feed, recording and viewing on your computer from any location. You can even monitor your home while on vacation. We’re big fans of Dome cameras. They’re better looking, not intrusive and offer a broader scope of surveillance. These are the units you see in Atlantic City casinos. Since the dome is shaded, it is uncertain where the camera is pointed and if it is even working. This causes it to become a deterrent, even if the device isn’t on. A cheaper selection, fake camera systems provide the look of surveillance without the price. The goal is that would-be trespassers will spot the camera and leave. Dome camera casing is frequently used for fake cameras. These units are typically used by people who cannot afford an actual surveillance system, yet still need a deterrent for likely trespassers. They often include pulsating lights and are indistinguishable from legitimate cameras. Outdoor cameras are made to be more durable and are encased within a housing that will help them tolerate the harsh New York weather conditions. The lenses are usually made out of fog resistant glass so moisture and humidity doesn’t impede the view. In most cases, they are aimed in one direction and possess limited range. More expensive units can usually rotate their direction, but most cameras are motionless and need to be moved manually to change angles. With infrared technology, night vision cameras permits you to observe an area even though it may be completely obscured by darkness. A lot of these systems can be used in both night and day, allowing for more continuous surveillance. A lot of the above solutions come with wire free and remote access technology so you don’t have to choose between an effective network camera and one that allows you to monitor your home while away. You can now have both. Both outdoor and indoor cameras can be set up for wireless installation. A lot of home owners ask us about secret cameras. We’ve installed a few throughout the neighborhood. We typically suggest that your cameras be exposed to everyone, however. It’s usually better to avoid theft and unwanted entry whenever possible. Motion detectors can be added to many security systems. The recording starts whenever movement is detected. Seek advice from your security expert to determine which configurations are best for you. Are alarm and surveillance systems hard to use? They have become less difficult in recent years in spite of their advanced functionality. If M&D sets up it for you, we will explain to you how it all performs until you are completely satisfied and confident with your system’s functions and features. How do I install my home security cameras? It would be very irresponsible for us to give tips about where to put your monitoring devices with no knowledge of the exact area you want to observe. Occasionally we come across a client who has purchased their particular system at a big box store such as Walmart or target. Without proper design and installation, these cameras are usually positioned poorly and configured incorrectly, creating more problems than they solve. These stores also sell discounted security devices, which are very limited in the scope of their functionality. Your cameras cannot be correctly installed without the technician on site. Knowing how to position your camera to attain max visibility, eliminate glare and act as a deterrent is the work of a qualified professional. Make sure you use a professional installation expert. We’ll help you avoid costly problems in the future. How efficient are these systems? How well do they work? If installed by a skilled professional, they are highly effective at catching the specific activity you want. But a company that knows what they’re doing won’t stop there, he or she will set them up as a crime deterrent so the burglar or thief will move on. The biggest problem with ineffective units is flawed installation and incorrect usage. That’s why your security cameras need to be installed by an expert. The reason why home security camera systems are so popular among Boerum Hill residents is because they are indeed, quite effective. They are effective at not only capturing important activity, but as a deterrent as well. The Department of Homeland Security asserts that break-ins can be reduced in metropolitan areas as much as 20% with the use of security cameras, but only if the system is put in and administered properly. Use a professional. Don’t attempt installing your system yourself. Don’t risk the safety of your loved ones by cutting corners. Call M&D at (718) 484-4050. Our technicians are experienced in Boerum Hill home security installation. We’ll be sure that your new security camera system is fully functional and that you are completely able to operate it on your own. You’ll have to decide on color or black and white. There can be a major price savings. The amount of available light in an location could help you make a decision. Dimly lit areas in addition to those with a higher degree of variable light will usually do better with black and white. Color ought to be used for indoor security cameras. Be aware of resolution. The higher the resolution, the clearer the image. Low level camera resolution is normally around 330. Expect 400 for better resolution systems. It’s very important to be sure your hardware work together. We don’t advocate mixing brands. This often seems to result in compatibility difficulties. What can I expect to pay for installation in Boerum Hill? Always a significant concern, we can determine the price of your system. We’ll want to know several things first such as: Precisely what are your security objectives? Are there many rooms, a large house or a business to be monitored? What’s the actual square footage? Do you need outdoor or indoor security cameras? How sophisticated do you need your monitoring system? Do you want 24 hour surveillance, limited surveillance or motion detectors? If you don’t know the answers to these questions, don’t panic. Give us a call and one of our experts will come out and help you decide on the best solution for you. Contact us at (718) 484-4050. We have given away a good amount of advice throughout the years and have helped a lot of Brooklyn residents stay safe from robberies. Home security systems have been a huge part of that. Other safety measures include adding alarm systems, fitting entry ways with specialty locking mechanisms and protecting all windows, doors and gates. We’ll even secure your garage door if you have one. In fact, let us do a comprehensive inspection of your home or business and we’ll show you what points are likely to be targeted by burglars. In the event your building or block doesn’t use a neighborhood watch program, then lead the charge and initiate one. Alert neighbors can do a lot more to discourage criminal activity than nearly anything else. Finally, consider getting a dog. They’ll adjust to an urban environment relatively easily and are fantastic protection against the bad guys. Call us at (718) 484-4050 for your home security review today.